We all know our health and wellness should take top priority, but sometimes we need a reminder. Take advantage of the group led physical activity sessions or visit the wellness lounge on your own. Just chill and relax for a few moments. Join us for our 2 mile Fun Run/Walk on Wednesday Morning, May 1st. It is literally a “fun” run/walk; no timers, no bibs, no prizes, just plain fun!! Sign up and select your t-shirt size when you register. 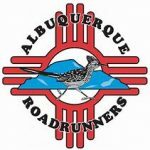 Thank you to the Albuquerque Road Runners Club for helping us out with the route and leading the run/walk. 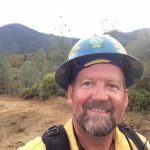 I am a fire-loving country boy, wildlife biologist, forester, ecological philosopher, human ecologist, author, iconoclastic maverick, advocate, and land manager specializing in endangered species and ecosystem restoration; the wise use of landscape-level prescribed fire; and the pandisciplinary, multicultural natural heritage of people and land. My Gaiast path began and is still centered in on-the-ground restoration of local ecosystems of my homeland in southeastern North America, and has lately expanded to the global arena. I am working with partners in the Northern Rocky Mountains of Canada to re-establish the fire-people connection that links these two corners on the continent. My interdisciplinary writings and presentations are widely-published in a broad-array of publications, ranging from peer-reviewed scientific journals to the local press. My sahyinidra yoga centers on the deeptime-to-present parallels, patterns and pathways linking the human condition with the ecological integrity of land—with the soils, waters, plants, animals and other life forms whose consciousness we depend upon and share. I teach Earth-Centered Yoga with Guided Imagery Meditations, leading folks through the cycles, connections and currents of sacred landscapes. I also lead field trips, nature walks, and give lectures — and offer fire gatherings. And of course, I burn the woods. I travel to speak to international audiences and ramble wildlands, but spend most of my time in longleaf pine firelands and other special places along the 34th parallel from northeastern Alabama to the Atlantic Ocean, and on the Blue Ridge Escarpment of Virginia. Y’all can get a-hold of me at gaiaorion@gmail.com. Share the Flame. Sah.